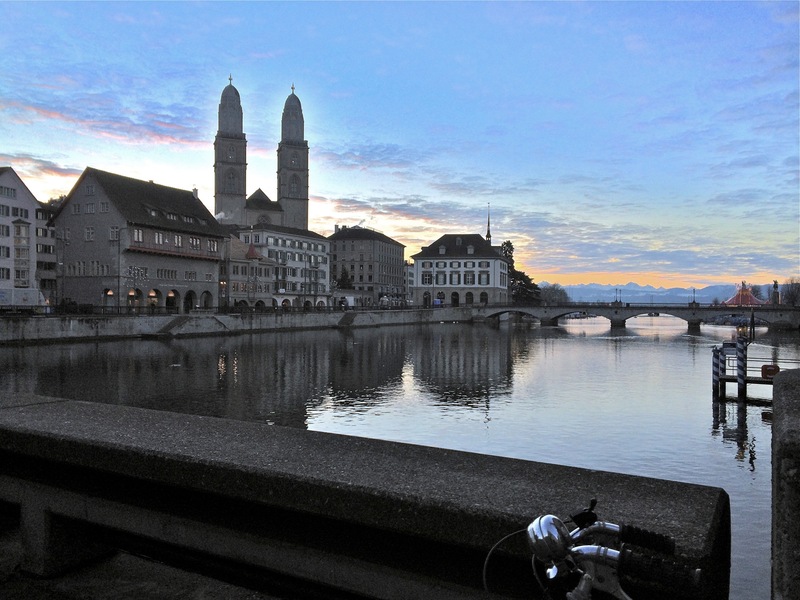 As the largest city in Switzerland, Zurich is the financial center of the country and happens to sit right on the beautiful Lake Zurich where it flows into the River Limmat. This culturally rich hot spot with a contemporary flare continues to be recognized as one of the world’s most livable cities. It may not be the cheapest destination, but it’s worth a visit even if it’s only for a short time. 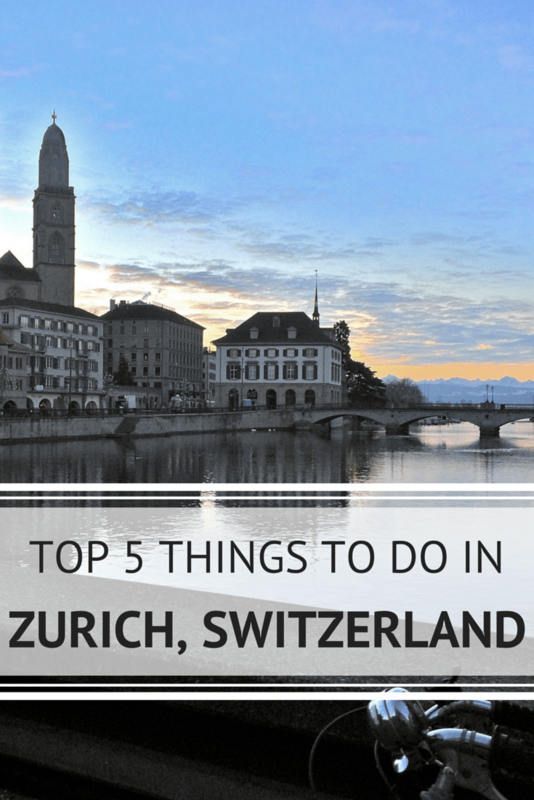 There are a multitude of things to do in Zurich to keep you busy, but here are five of my favorites to start with! 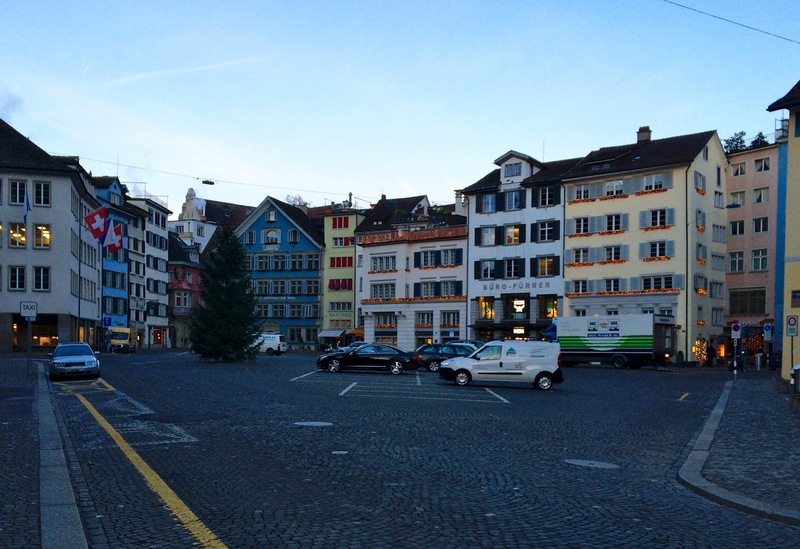 The city of Zurich is embedded with years of history that are evident as soon as you step foot into town. The city’s rich heritage can be found in more than 50 museums and over 100 art galleries, as well as along its old streets and buildings. 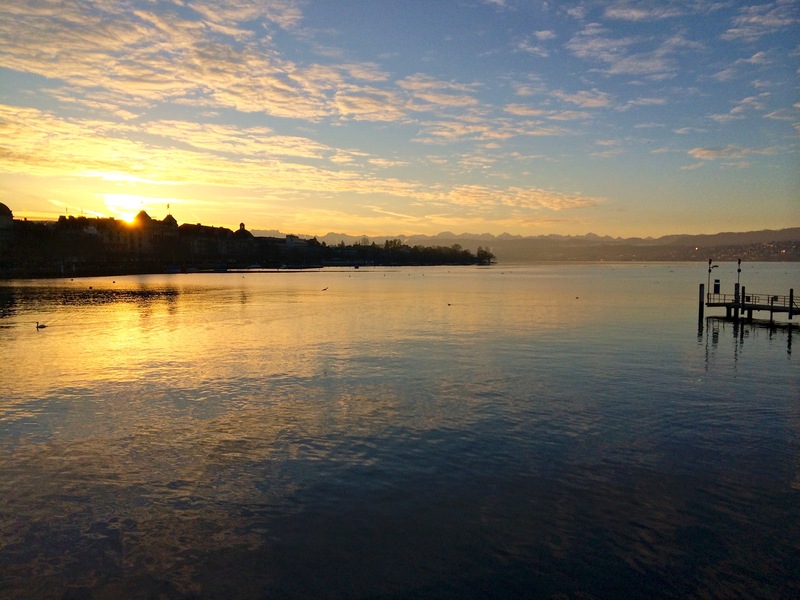 One of the more underrated things to do in Zurich is watch the sunrise — a breathtaking sight to see no matter what time of year it is. Standing on the bridge looking out over Lake Zurich is worth the early wake-up call to see the first light of day rise over Zurich’s buildings, the surroundings reflecting in the water with the mountains in the background. It is also a perfect way to enjoy the city on a budget! Of course, if you’re going to be in Switzerland, you have to eat some Swiss chocolate! Even if it’s just a few samples, there will be plenty of opportunities throughout the city for you to grab a mouthful in between other activities. Whether you’re window shopping or looking to buy a fancy new Swiss watch, Bahnofstrasse is the place to begin. Larger shops can be found along this street, as well as more boutique shops in the surrounding areas. Crossing over the river will present you with even more options, like antiques, books, clothing, and more. If you are flying into Zurich or are arriving from out of town at the train station, there are over 200 underground shops as well as a farmer’s market every Wednesday in the station. Aside from the abundance of shops in Old Town, you’ll find a unique cultural mix of buildings set against a medieval background and woven together by narrow cobbled streets. This part of town will take you back in history while still enjoying the perks of modern amenities. Although Zurich is widely known as the financial center of Switzerland, the city has much more to offer for all travelers. With over 110 hotels in the city and with 11,500 beds accommodating 2.5 million overnight stays every year, there is certainly no shortage of places to stay in Zurich. It is also a major art and shopping center, as well as a visually stunning city with an important history that has shaped Zurich into the place it is today. Sign up for the Little Things Travel Newsletter to receive exclusive content sent straight to your inbox! Ugh can Switzerland get any more beautiful!! Old Town looks so cool I’d love to explore those streets. And Swiss chocolate….it’s just moved to the top of my bucket list. I’m always ready to return as soon as I leave! Zurich is so picturesque, we loved it!